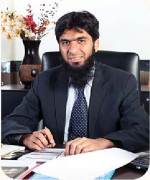 Mr. Abdul Qadir joined the Board of Javedan Corporation Limited on 07 December 2012. Mr. Abdul Qadir Sultan is a Chartered Accountant by profession from the Institute of Chartered Accountants of Pakistan (ICAP). He completed his article ship from A.F. Ferguson and Co. (a member firm of Price Water House Coopers) one of the premier Chartered Accountancy firms in Pakistan. He is currently associated with Aqeel Karim Dhedhi Group having its strong presence in the financial and real state sector. He also serves as a non-executive director at AKD Capital Limited. He has a working experience of more than 8 years in various diversified capacities. 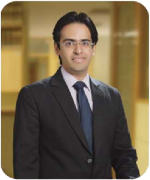 Mr. Kashif Habib is a member of the Institute of Chartered Accountants of Pakistan (ICAP). He has completed his Articleship from A.F. Ferguson & Co. (a member firm of Price Water house Coopers), where he gained experience of a diverse set of clients spanning the Financial, Manufacturing and Services sectors. He has at his credit experience of three years Internship in Arif Habib Corporation Limited and three years experience of Executive Director in cement and fertilizer companies of the group. Mr. Ejaz is a certified Financial Risk Manager and holds an MBA from IBA. He has over 18 years of experience in the fields of Treasury, Corporate Finance and Investment Banking. Mr. Ejaz has served in senior positions at leading local and international banks including Faysal Bank, Union Bank and Emirates NBD Bank. He is also a regular visiting faculty member at IBA, Karachi. 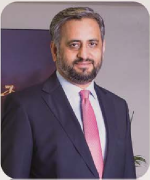 Presently Mr. Muhammad Ejaz is the Chief Executive of Arif Habib REIT Management Limited.